Lessons within children’s novels, unlike those in textbooks, often hide themselves amid their entertaining content. As a matter of fact, nearly all novels contain insights that aren’t immediately apparent to every reader; this partly explains why book discussion clubs are so popular among readers who want to delve deeper into a book author’s intent. Several parents and teachers told us that they appreciate the lessons that the BioFables books incorporate and wished they were able to mine the content of each book more thoroughly for their children. We found that each of the BioFables books offers a hundred or more lessons (both overt and stealth) across a wide span of the sciences and humanities and realized that most parents, especially those parents who are home schooling their children, and teachers could use a helping hand to identify and organize those teaching moments. And so, the concept of a Companion Book for each BioFables story was born and then evolved over a period of many months of research and experimentation. 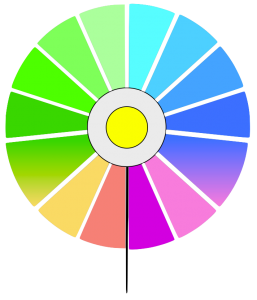 A color-coded pinwheel represents major Knowledge Gateways™ that are classified into basic and applied Sciences and Humanities subjects, such as Biology and History, respectively. Discovery Paths™ within the major subjects connect to specific lessons, such as sand dune formation. Each chapter has its own set of colorful diagrams that map out the lessons contained within that chapter. One or two paragraphs accompany each diagram, describing the science or providing other background on the lessons featured in the diagram. You can use these descriptions as a launching pad for discussing the particular lesson with young readers. Blank boxes are provided for you to jot down your own experiences or ideas to help you personalize your discussions. We invite you to use Companion Books as guides to sparking worthwhile conversations with your children. Book 3’s Companion is now available. Once the Companion Books for the five BioFables books published so far, we will release all future books together with their respective Companions.